1.3.1 Budget, Midrange or Top End? 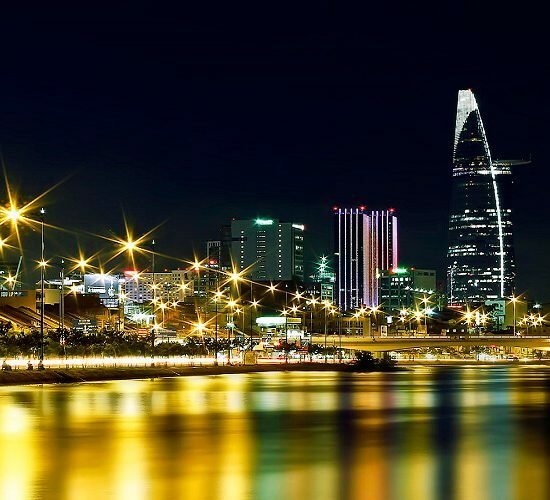 This well-heeled area, immediately west of the Saigon River, packages the heart of old Saigon into a swish enclave of designer shops and skyscrapers. Slicing from the river to august Notre Dame Cathedral via the Opera House (Municipal Theatre), ritzy Ð Dong Khoi is the main shopping strip and lends its name to the encircling civic centre and central business district. 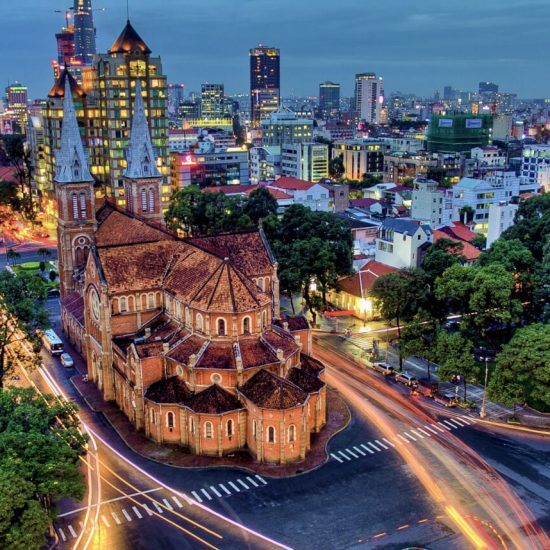 Yet it’s the wide, tree-lined boulevards of ÐL Le Loi and ÐL Nguyen Hue, perpetually swarming with motorbikes, that leave more of an impression – not least if you’ve survived crossing them on foot. It’s in these grand thoroughfares that French-colonial elegance and urban modernity fashion an alluring concoction. This old District 1 ward, directly north of the city centre, is home to most of the consulates and some beautiful buildings dating from the French-colonial period. Hidden within its historic streets (and those bordering it in the eastern corner of District 3) are good new restaurants and bars, along with some of the city’s best traditional eateries. 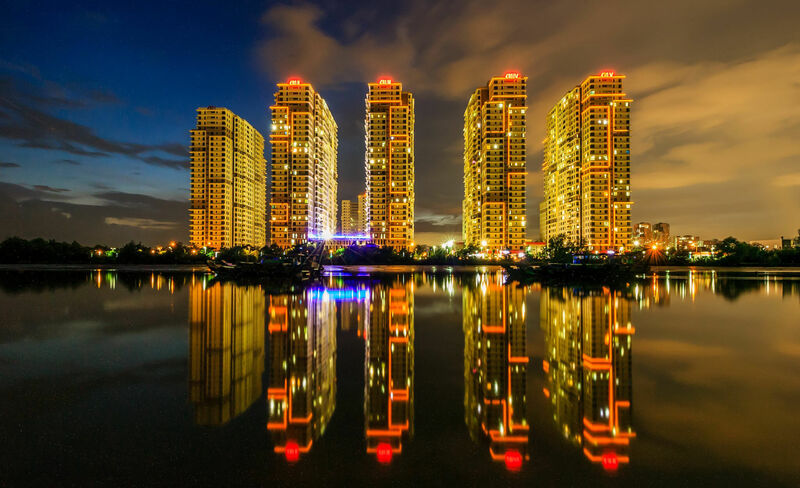 Straddling District 1 and District 3, this grid of busy streets encloses the inviting spaces of Tao Dan Park and the pristine grounds of the Reunification Palace. 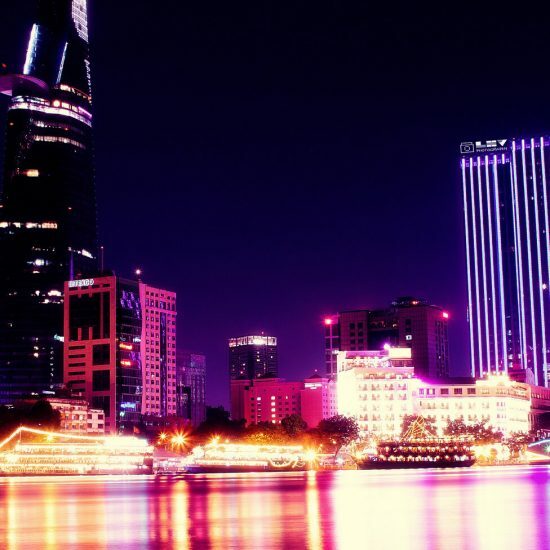 It’s here that you’ll find some of Ho Chi Minh City’s most popular sights and good restaurants. 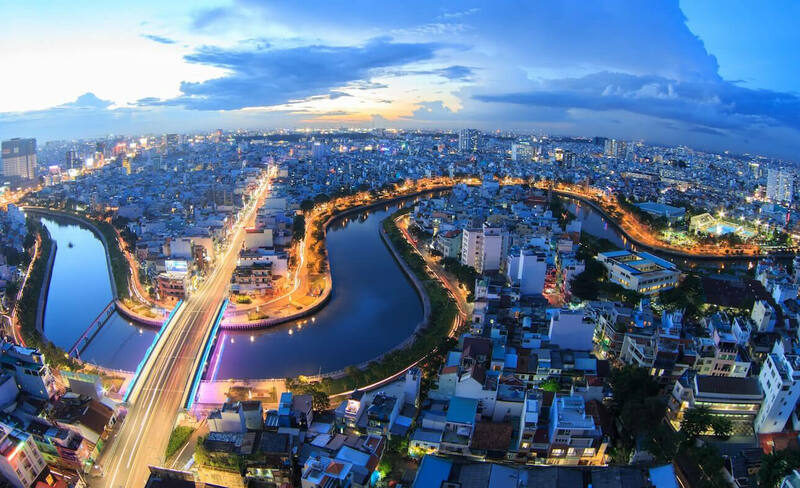 This District 1 ward is a busy workaday neighbourhood nestled between the central city, Ben Thanh Market, the Pham Ngu Lao backpacker strip and Ben Nghe Channel. At the time of writing, Pham Ngu Lao’s Bui Vien was a pedestrians-only walking street from 7pm to 2am on Saturday and Sunday nights. The combination of after dark entertainment and a ban on motorised vehicles could be expanded across the entire week. Rummage through Cholon (District 5) and lift the lid on a treasure trove of historic temples and Chinese flavours. 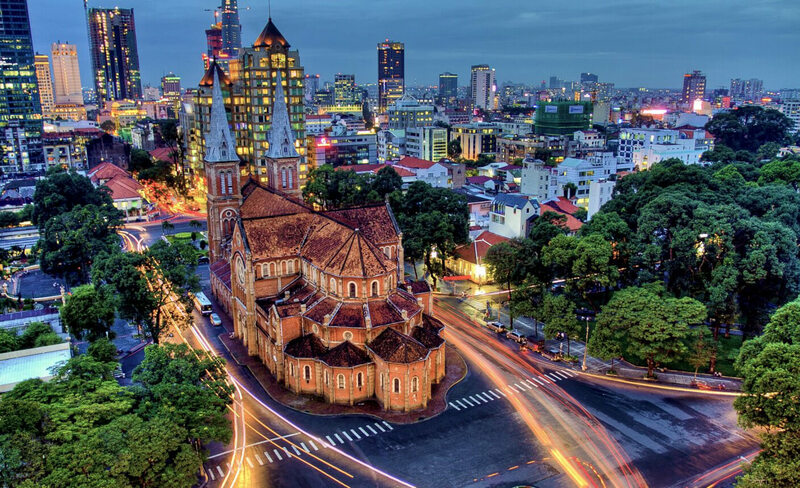 Ho Chi Minh City’s Chinatown is less Chinese than it once was, largely due to the 1978–79 anticapitalist and anti-Chinese campaign, when many ethnic Chinese fled the country, taking with them their money and entrepreneurial skills. A lot of those refugees have since returned (with foreign passports) to explore investment possibilities. Full-form written Chinese characters (as opposed to the simplified system used in mainland China) decorate shopfronts and temples in abundance, adding to the sensation that you have strayed into a forgotten corner of China. Finding a Mandarin-speaker isn’t hard, although most Hoa-Kieu (Vietnamese-Chinese) residents chat in southern Chinese dialects. Cholon means ‘big market’ and during the American War it was home to a thriving black market. Like much of HCMC, Cholon’s historic shopfronts are swiftly disappearing under advertising hoardings or succumbing to developers’ bulldozers, but some traditional architecture survives and an atmospheric strip of traditional herb shops thrives between Ð Luong Nhu Hoc and Ð Trieu Quang Phuc, providing both a visual and an olfactory reminder of the old Chinese city. A taxi from Pham Ngu Lao to Cholon costs around 100,000d or hop on bus 1 from Ben Thanh Market. 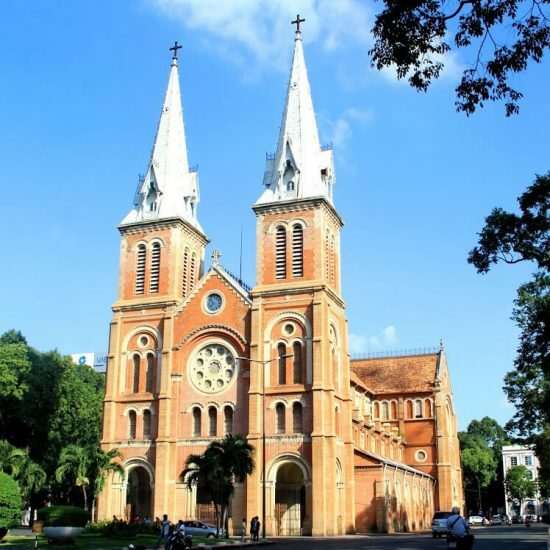 Saigon- and Cholon-heritage buff Tim Doling features excellent essays on the area’s changing face on his website, http://historicvietnam.com. Immediately west of Cholon, the main enticements of District 11 are a couple of interesting old pagodas and a popular water park. There’s occasionally someone hanging around the vicinity of Bach Dang jetty looking to charter a boat to tour the Saigon River, but this option is definitely becoming less commonplace as the waterfront is slowly gentrified with the ongoing construction of new apartments. Prices should be around US$20 per hour for a small boat or US$25 to US$30 for a larger, faster craft. It’s best to set an itinerary and a time limit at the start and ask them to bring the boat to you, rather than going to the boat yourself. 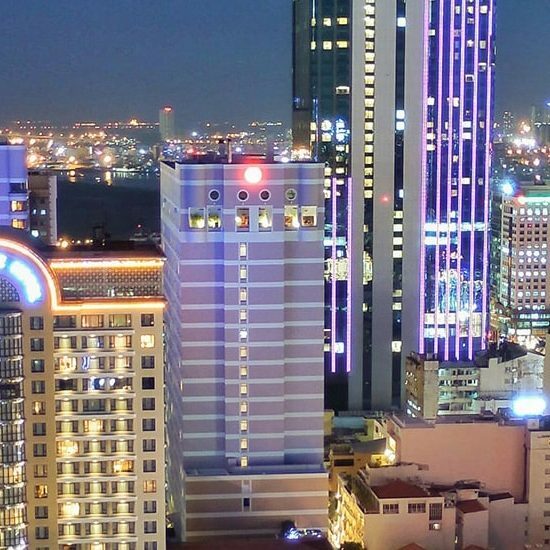 Several inner-city hotels, including the Lotte Legend Hotel Saigon, Park Hyatt Saigon, Majestic Hotel and May Hotel, offer nonguests access to their pools for a fee. 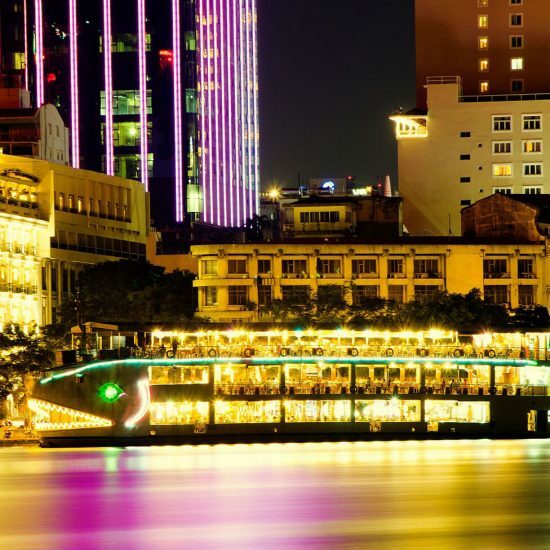 Another option is the Saturday afternoon and evening Saigon Soul Pool Party held from late November to early June at the New World Saigon Hotel. In Pham Ngu Lao, Oasis Saigon offers a compact pool and a full food and drinks menu. 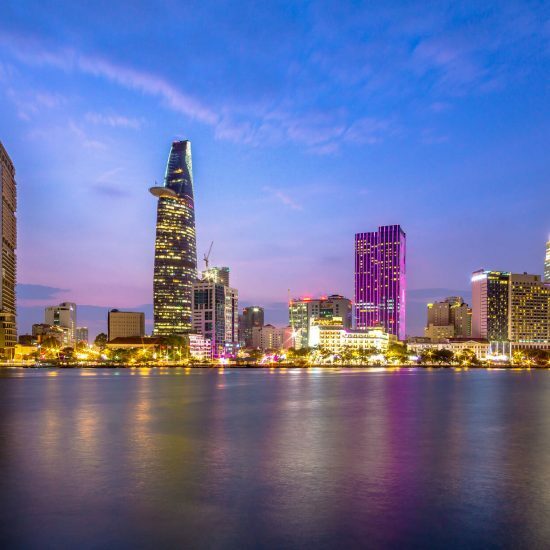 Ho Chi Minh City offers some truly fantastic hideaways for pampering – the perfect antidote to a frenetic day spent dodging motorbikes. 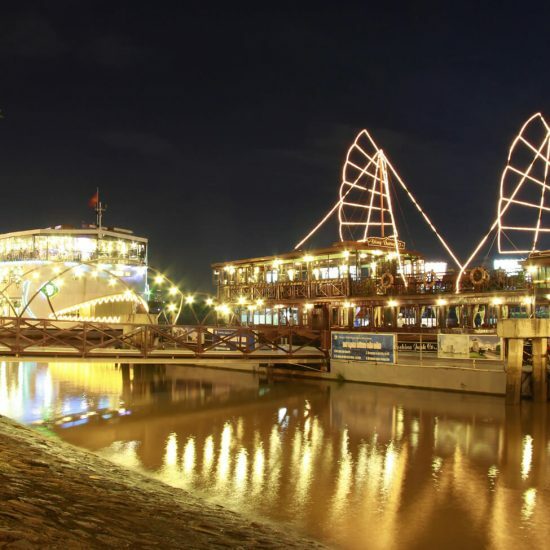 Check out www.spasvietnam.com for extensive reviews and online bookings. District 1 is the obvious lodging choice given its proximity to the airport and almost everything of interest. 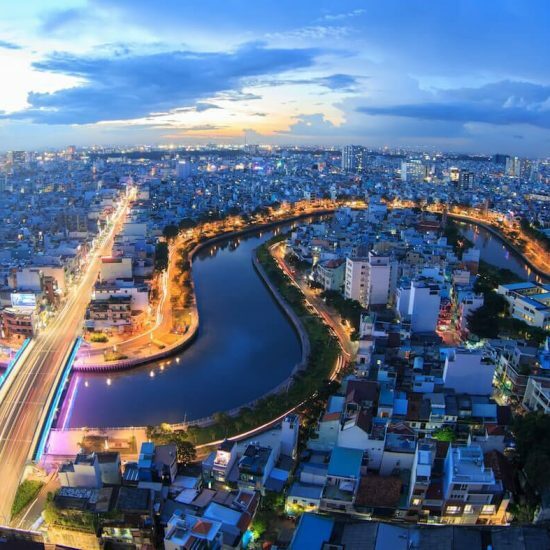 Within District 1, head east towards Ð Dong Khoi to be close to the best restaurants and bars, west towards Pham Ngu Lao for budget accommodation, or for somewhere midrange, try around Ben Thanh Market. There are several interesting riverside properties in District 2, around 20 minutes from central HCMC by taxi. At the lower end, a few dollars can be the difference between a dank, stuffy, windowless shoebox and a pleasant, well-appointed room with air-conditioning, ventilation and free wi-fi. Needless to say, cheaper places exist but you get what you pay for. For rock-bottom prices, a swift door-to-door around Pham Ngu Lao will turn up dives for US$15 or even less. Upgrading to a midrange property can seem rather pointless when excellent, comfortable, almost hip rooms with all the bells and whistles are available for US$30 around Pham Ngu Lao and nearby. 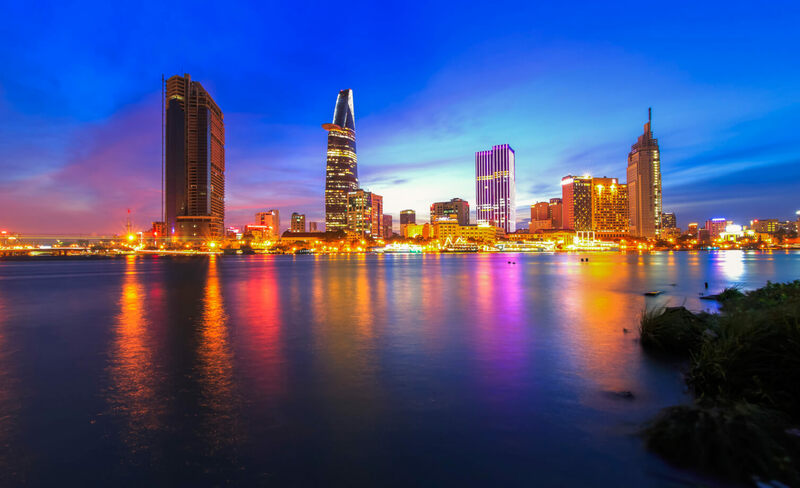 More discerning budget travellers can book ahead for similar places at slightly lower rates in the surrounding wards, such as the Co Giang and Nguyen Thai Binh wards. At the top end, some of the city’s best hotels occupy period, character-filled buildings where standards are international, as are the prices. 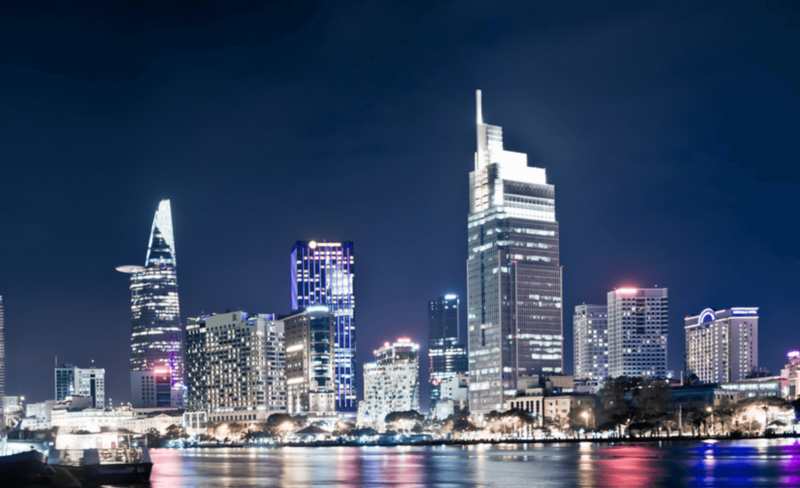 The very best hotels, however, are newer, such as the Park Hyatt Saigon. 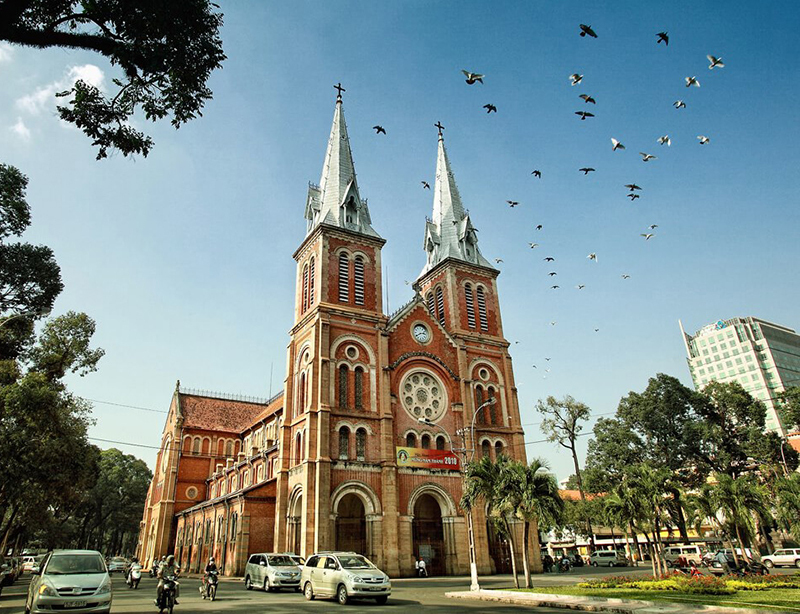 Home to Ho Chi Minh City’s top-notch hotels, the Dong Khoi area is also sprinkled with attractive midrange options. 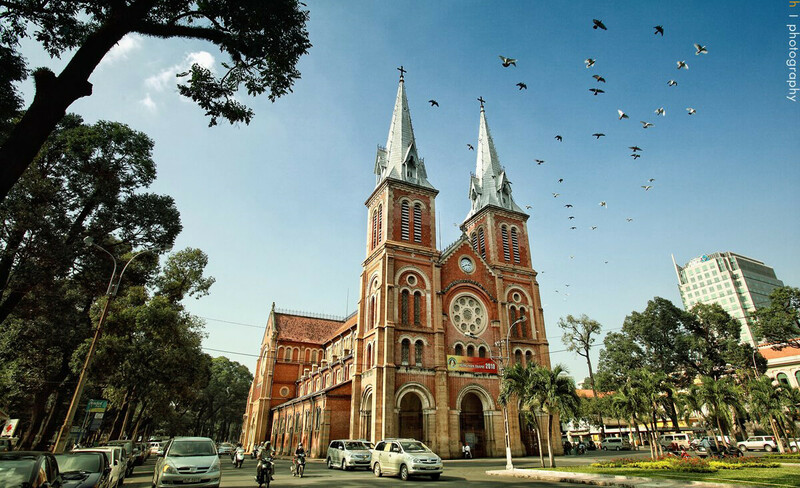 Pham Ngu Lao is Ho Chi Minh City’s budget zone and it’s easy to hunt for a hotel or guesthouse on foot. Four streets (Ð Pham Ngu Lao, Ð De Tham, Ð Bui Vien and Ð Do Quang Dau) along with a warren of intersecting alleys form the heart of this backpacker ghetto, with more than 100 accommodation choices. Don’t let that backpacker tag put you off. 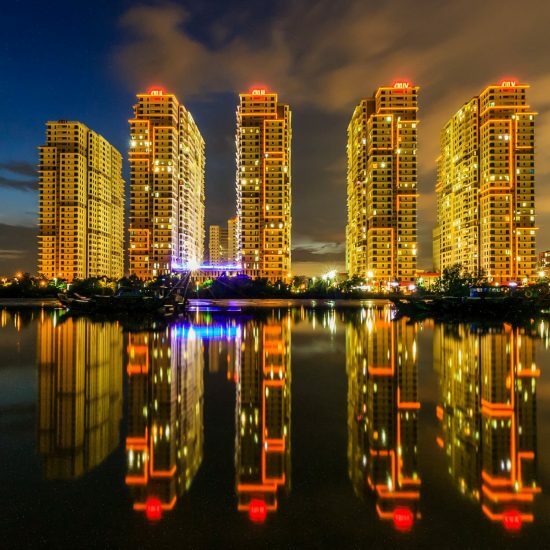 Even midrange travellers can find excellent deals here, often at budget prices. Basic breakfasts are usually included. Among the options are many family-run guesthouses (US$15 to US$35) and mini-hotels (US$30 to US$55), and even a few dorms (from US$7). We have highlighted some of the better places but there are dozens more, with new places opening all the time. For a quieter and slightly cheaper alternative to Pham Ngu Lao, there’s a string of guesthouses in Co Giang ward (District 1) in a quiet alley connecting Ð Co Giang and Ð Co Bac. To reach the alley, head southwest on ÐL Tran Hung Dao, turn left at Ð Nguyen Kac Nhu and then take the first right onto Ð Co Bac. The guesthouses are down the first alley to the left. All of the guesthouses down this lane are popular with long-timers (expat English teachers and the like), so you’ll need to book well ahead to nab a place. Preference goes to longer term bookings. Happening HCMC is concentrated around the Dong Khoi area, with everything from dives to designer bars open to 1am. Pham Ngu Lao stays open later, and PNL’s Bui Vien is a pedestrians-only street from 7pm to 2am on Saturday and Sunday nights. Dance clubs usually kick off after 10pm; ask around at popular bars about the latest greatest places. Many of Dong Khoi’s coolest bars double as restaurants or are flung out at the top of hotels. Pick up The Word HCMC, Asialife HCMC or The Guide to find out what’s on during your stay in Ho Chi Minh City, or log on to www.anyarena.com or www.wordhcmc.com. Monthly listings include club nights, live music, art shows and theatre performances. 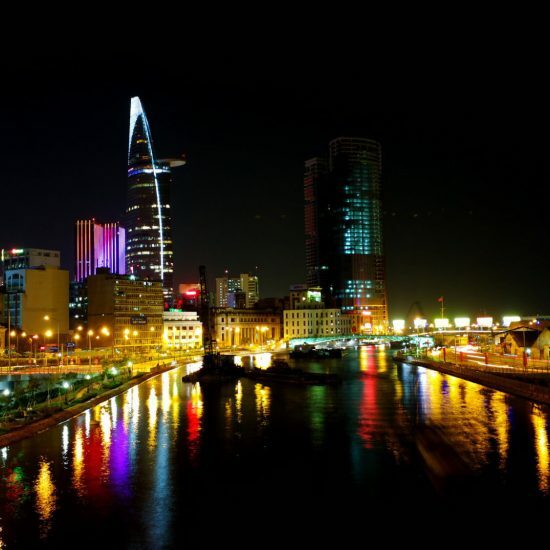 Ho Chi Minh City has an enthusiastic live music scene, with all styles of bands hitting the city’s stages. Just off Pasteur St, the Old Compass Cafeand the Alley Cocktail Bar & Kitchen attract live performers most weekends, while Acoustic and Yoko are the best options for local rock bands. Saigon Outcast and Rogue Saigon also showcase an eclectic mix of expat and international performers on a regular basis. Check their Facebook pages for listings. Although it originates in the north, the art of water puppetry migrated south to Ho Chi Minh City to satiate tourist demands. Tickets are around 100,000d to 150,000d. Junk is energetically peddled to tourists on the city’s teeming streets, but plenty of great finds can be uncovered in bustling markets, antique stores, silk boutiques and speciality shops selling ceramics, ethnic fabrics, lacquered bamboo and custom-made clothing. Any shopping journey should start along gallery- and boutique-lined Ð Dong Khoi and its intersecting streets, where high-quality handicrafts and gifts can also be found. For cheap reproductions of famous paintings and propaganda posters (largely reproductions), visit the art shops along Ð Bui Vien. Antique hunters can head to Ð Le Cong Kieu, directly across the road from the Fine Arts Museum. There’s no guarantee objects for sale are actually old, so purchase with care. There are plenty of places where you can find chic apparel or custom-made ao dai, the couture symbol of Vietnam. This gorgeous outfit of silk tunic and trousers is tailored at shops in and around Ben Thanh Market and at the top end of Ð Pasteur. Male ao dai are also available, in a looser fit that comes with a silk-covered head wrap to match. 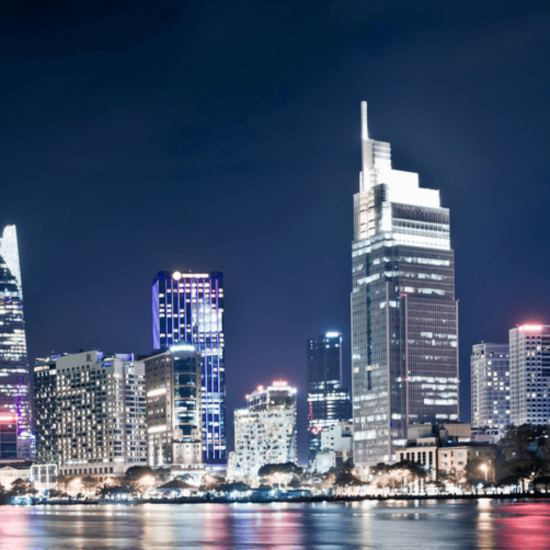 HCMC is divided into 19 urban districts (‘quan‘, derived from the French quartier) and five rural districts (‘huyen‘, derived from the Chinese xian). 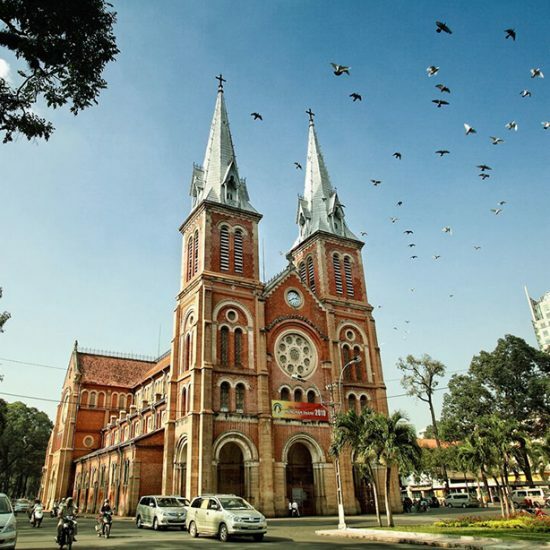 The majority of places and sights converge in District 1, the district still known as Saigon (although many residents still refer to the whole city as Saigon, just to confuse things), which includes the tireless backpacker district of Pham Ngu Lao (PNL) and the more upmarket area of Dong Khoi. The city’s neoclassical and international-style buildings, along with its tree-lined streets set with shops, cafes and restaurants, give neighbourhoods such as District 3 an attractive, almost French atmosphere. 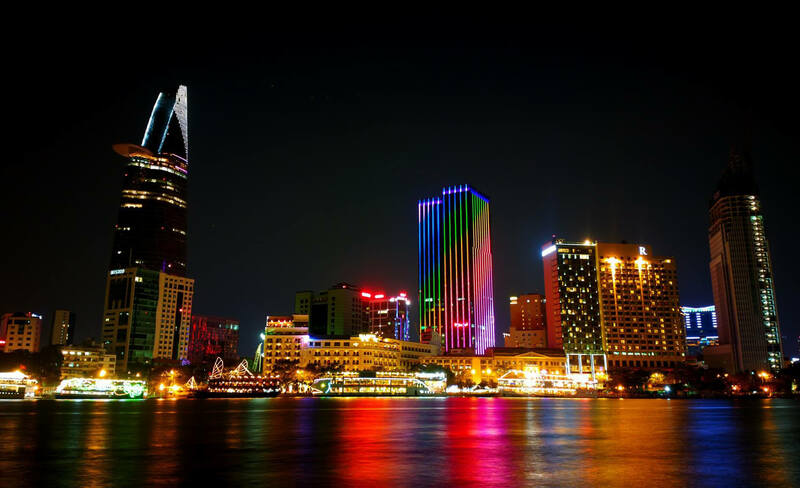 Saigon was originally part of the kingdom of Cambodia and, until the late 17th century, was a small port town known as Prey Nokor. As Vietnamese settlers moved south it was absorbed by Vietnam and became the base for the Nguyen Lords, who were the rulers of southern Vietnam from the 16th to the 18th centuries. 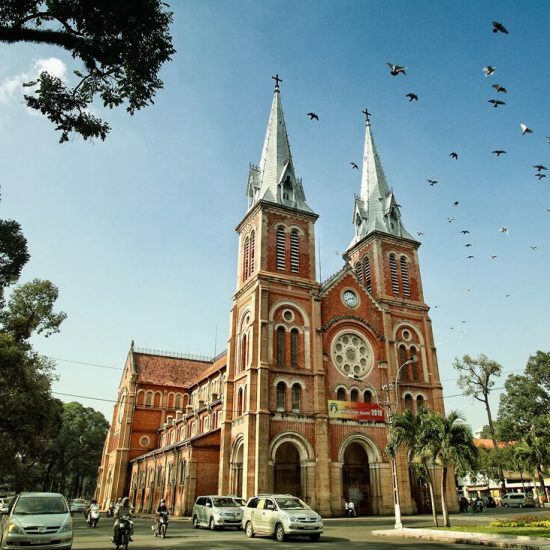 During the Tay Son rebellion in the 18th century, a group of Chinese refugees established a settlement nearby, which became known by their Vietnamese neighbours as Cholon (Big Market). After seeing off the rebels, Nguyen Anh constructed a large citadel here (roughly where the American and French embassies now stand). 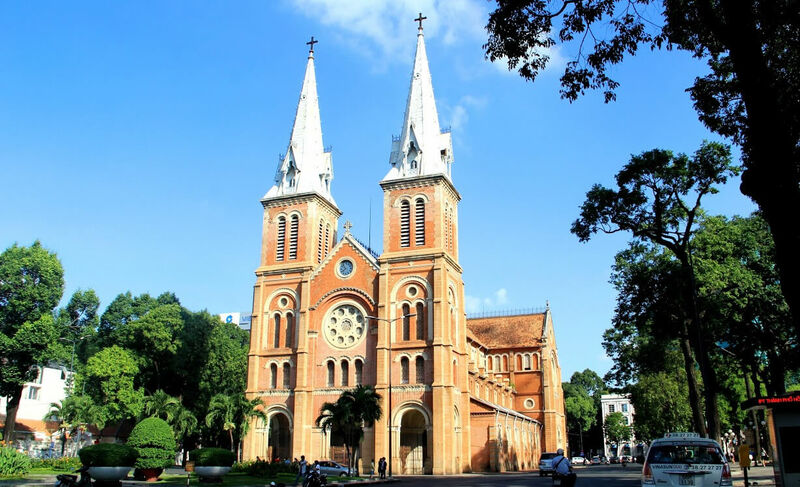 Both Saigon and Cholon were captured by the French in 1859 (who destroyed the citadel in the process) and Saigon became the capital of Cochin-China a few years later. 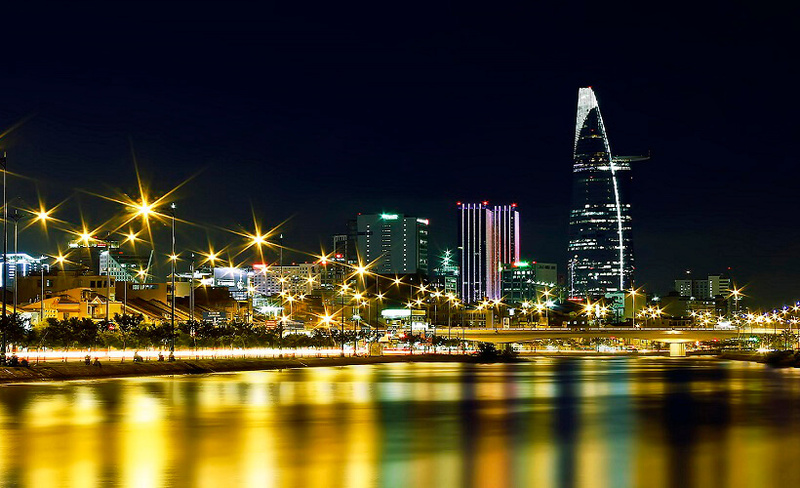 It wasn’t until 1931, after the neighbouring cities had sprawled into each other, that they were officially combined to form Saigon-Cholon (the name Cholon was dropped in 1956). 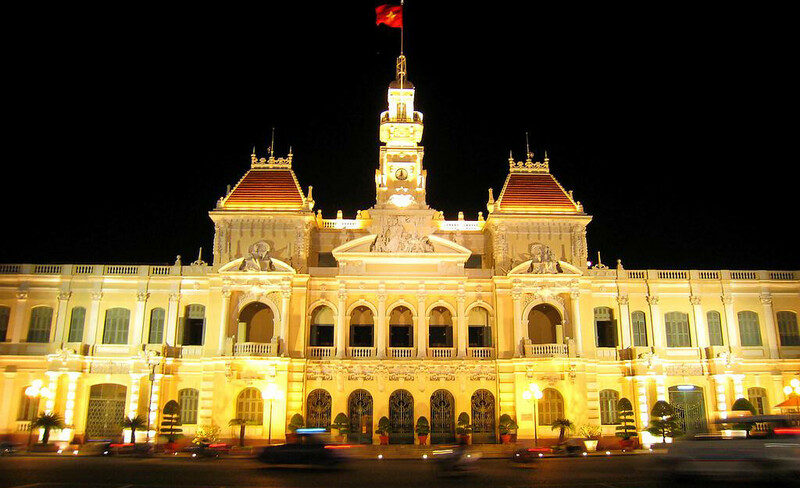 The city served as the capital of the Republic of Vietnam from 1956 until 1975, when it fell to advancing North Vietnamese forces and was renamed Ho Chi Minh City. Slurp up a steaming bowl of pho (rice-noodle soup) and then take a walk through old Saigon. After lunch at nearby Propaganda head to the War Remnants Museum, tour the Reunification Palace and, if there’s still time, the HCMC Museum. In the evening, catch the sky-high sunset views from Air 360, followed by a meal at Quan Bui or Barbecue Garden. Have a nightcap of bold craft beer at Heart of Darkness or sophisticated Asian-inspired cocktails at Layla. Spend the morning in Cholon, wandering around the market and historic temples. Catch a taxi up to District 3 for a cheap traditional lunch at Pho Hoa or Banh Xeo 46A, and then walk through Da Kao ward to the Jade Emperor Pagoda and History Museum. 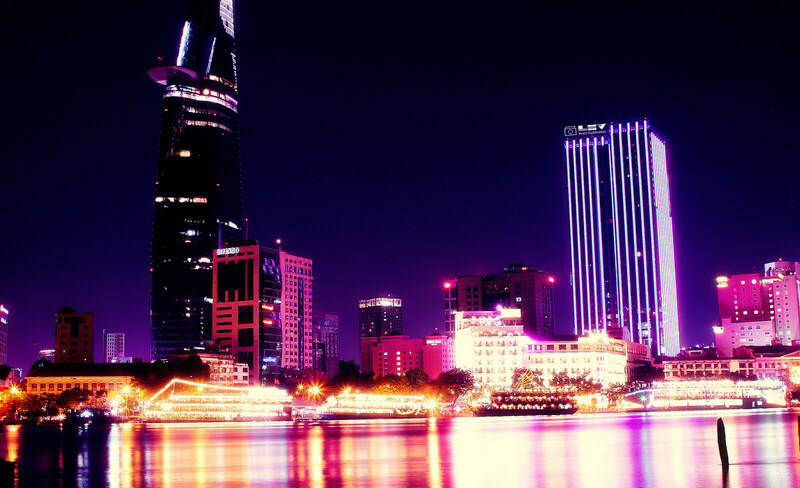 It’s your last night in HCMC, so make the most of it. 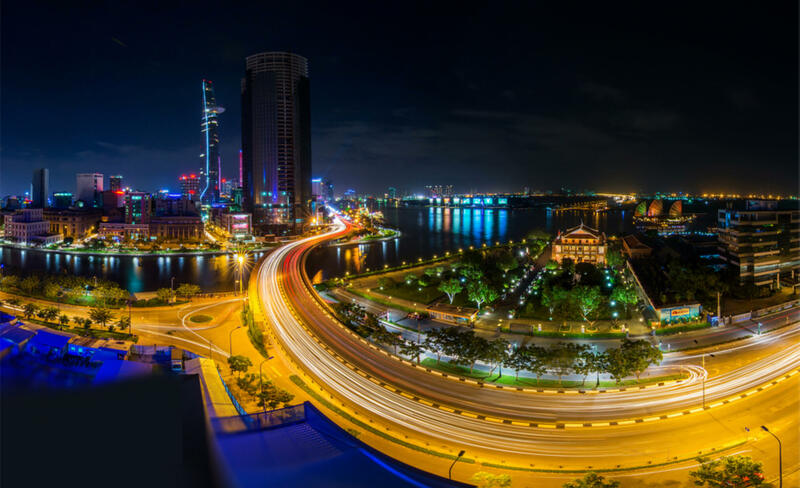 Start your evening at another of the city’s good restaurants – perhaps Cuc Gach Quan or Hum Lounge & Restaurant, and then catch live music at Acoustic, Rogue Saigon or the Old Compass Cafe. If you’re ready for the evening to descend into a very Saigon state of messiness, continue on to Observatory or the chilled, but never-sleeping, Heritage Republic. Feb Hardly any rain, the least humidity, and a city filled with blooms for the Tet celebrations. Mar Low rain and humidity persist, plus the annual cyclo challenge. Dec December is a whisper cooler than normal for HCMC and comparatively dry. A bicycle can be a useful (if sometimes scary) way to get around the city. Bikes can be hired from several outlets, including hotels, cafes and travel agencies. Bicycle parking lots are usually just roped-off sections of pavement. For about 2000d you can leave your bicycle, bearing in mind that theft is a big problem. Your bicycle will have a number written on the seat in chalk or stapled to the handlebars and you’ll be given a reclaim chit. Don’t lose it. If you come back and your bicycle is gone, the parking lot is supposedly required to replace it. Local buses are cheap and plentiful, serving more than 130 routes around greater HCMC. A useful, free Ho Chi Minh Bus Route Diagram(map to you and me) is available at the Ben Thanh bus station. Useful lines from Ben Thanh include the 109 or 49 to Tan Son Nhat International Airport, 149 to Saigon train station, 1 to Binh Tay Market and Cholon Bus Station, 102 to Mien Tay bus station and 26 to Mien Dong bus station. All buses have air-con and the ticket price is usually 7000d. Buy your ticket on-board from the attendant. Travel agencies, hotels and tourist cafes all hire cars (with drivers) and motorbikes. Many expats swear that motorbike rental is the fastest and easiest way to get around the city – or to the hospital, if you don’t know what you’re doing. Note that your travel insurance may not offer cover, so check beforehand as things could get expensive and troublesome in the event of an accident. Even if you’re an experienced biker, make sure you’ve spent some time observing traffic patterns before venturing forth. A 100cc motorbike can be rented for US$10 to US$15 per day, including some sort of helmet, and your passport may be kept as collateral. Before renting a motorbike, make sure it’s in good working order. Saigon Scooter Centre is a reliable source for restored classic Vespa scooters, new scooters and trail bikes. Daily rates start from US$10, with a minimum rental period of four days. For an extra fee it’s possible to arrange a one-way service, with a pick-up of the bikes anywhere between HCMC and Hanoi. A vanishing icon of HCMC, the cyclo remains a slow-moving feature along certain streets, particularly along Ð Pham Ngu Lao and around Ð Dong Khoi. Some Vietnamese may still enjoy them, but their use has long been overtaken by motorbike and taxi, and tourists remain the shrinking bedrock of this poorly paid trade. In HCMC, a few of the older riders are former South Vietnamese army soldiers and quite a few know at least basic English, while others are quite fluent. Some drivers weave stories of war, ‘re-education’, persecution and poverty into the pedal-powered experience (and will often gladly regale you with tales over a bowl of pho or a beer at the end of the day). In an effort to control HCMC’s traffic problems, there are dozens of streets on which cyclos are prohibited. As a result, your driver must often take a circuitous route to avoid these trouble spots (and possible fines levied by the police) and may not be able to drop you at the exact address. Try to have some sympathy as it is not the driver’s fault. Overcharging tourists is de rigueur, so hammer out a price beforehand and have the exact change ready (get familiar with the currency – cyclo drivers may exploit ignorance). If more than one person is travelling, make sure you negotiate the price for both and not a per-passenger fee. It sometimes pays to sketch out numbers and pictures with pen and paper so all parties agree. Unfortunately, ‘misunderstandings’ do happen. Unless the cyclo driver has pedalled you to all the districts of HCMC, US$25 is not the going rate. That said, don’t just assume the driver is trying to cheat you. Short hops around the city centre will cost around 50,000d; District 1 to central Cholon costs about 100,000d. You can rent a cyclo from around 80,000d per hour – a fine idea if you will be doing a lot of touring. Most cyclo drivers around the Pham Ngu Lao area can cook up a sample tour programme. If hopping aboard a tour, aim for morning or late afternoon to avoid the hottest part of the day. Enjoy cyclos while you can as the municipal government plans to phase them out, and it won’t be too long before the cyclo disappears entirely from the city’s streets. In the cause of charity, the annual Saigon Cyclo Challenge pits teams of high-paced riders against each other in a fun spectacle. For traffic-dodging speed and convenience, the xe om (sometimes called a Honda om; motorbike taxi) is, for many, the way to go. Xe om drivers usually hang out on their parked bikes on street corners, touting for passengers. You’ll rarely have to walk more than 10 steps before being offered a ride. The accepted rate is around 30,000d for short rides (Pham Ngu Lao to Dong Khoi area for instance), or you can charter one for around US$5/20 per hour/day. If you’re catching a xe om, agree definitively on a price in advance. A trip from Pham Ngu Lao to Dong Khoi shouldn’t cost more than 30,000d. One common trick is for drivers to offer to take you for 15,000d but then insist that they really said 50,000d. so confirm the fare upfront. An increasingly popular option – and almost always cheaper than a normal xe om – is to book a motorbike taxi through the excellent Grab smartphone app. That way, the cost of your fare is confirmed before the journey starts. Metered taxis cruise the streets, but it is worth calling ahead if you are off the beaten path. The flagfall is around 12,000d for the first kilometre; expect to pay around 25,000d (US$1) from Dong Khoi to Pham Ngu Lao. Some companies have dodgy taxi meters, rigged to jump quickly, but both Mai Linh Taxi and Vinasun Taxi can be trusted. Uber is popular in the city and the Grab smartphone app also provides similar booking and mapping capabillty for cars. You’d expect to pay extra for the relative comfort and safety of an air-con taxi as opposed to a white-knuckle motorbike ride, however, overcharging by xe om (motorbike taxi) drivers in the tourist areas traditionally made any difference negligible. What’s now different however is the adoption of the new Grab smartphone app which confirms the cost of your journey before you set off. Note also that a car booked through the Uber or Grab smartphone apps will be cheaper than two motorbikes when there is more than one person travelling, but weaving through the traffic on the back of a motorbike is often faster, especially in rush hour. Ho Chi Minh City sorely needs a metro system to help marshal the transport chaos above ground. 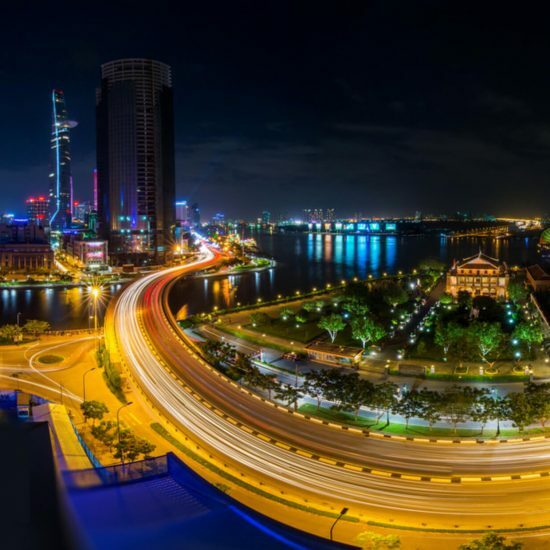 First proposed in 2001, the system will run to an estimated five or six lines, with the 20km (part-underground, part-elevated) first line – linking Ben Thanh Market with Suoi Tien in the east – currently slated for a 2020 launch. Sandwiched between Ð Dong Khoi and Ð Nguyen Hue, the central station is taking shape near the Opera House. Up to 88% of the scheme is being funded by the Japanese government. 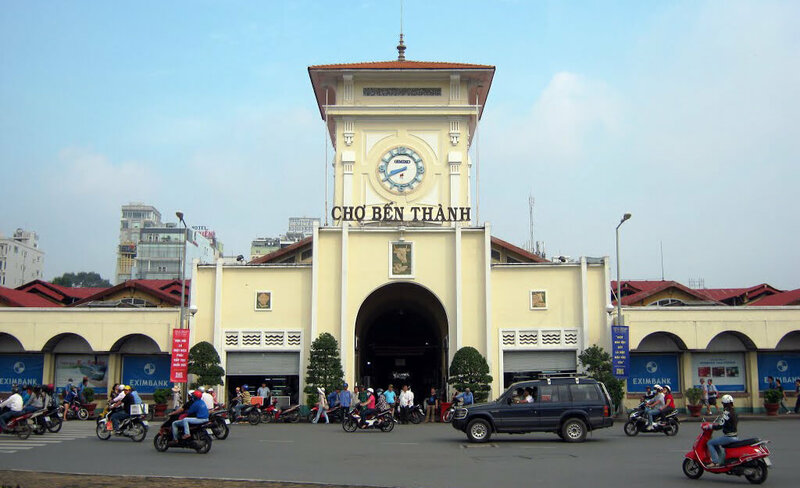 You’ll also notice significant construction work and road closures at the western end of ÐL Le Loi and Ben Thanh market. Ready to make it happen? 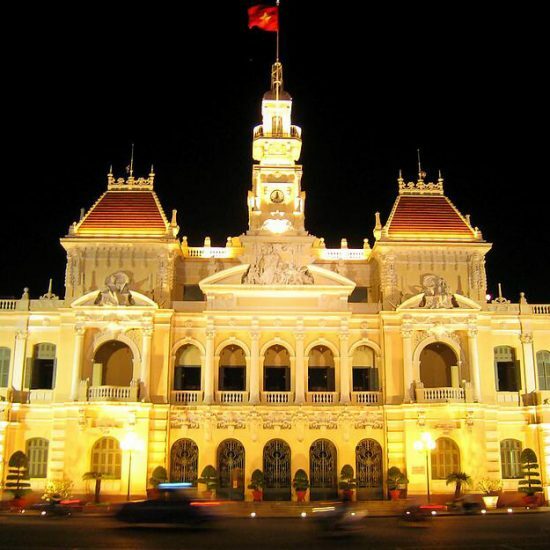 Search for the best deals on flights to Ho Chi Minh City now. 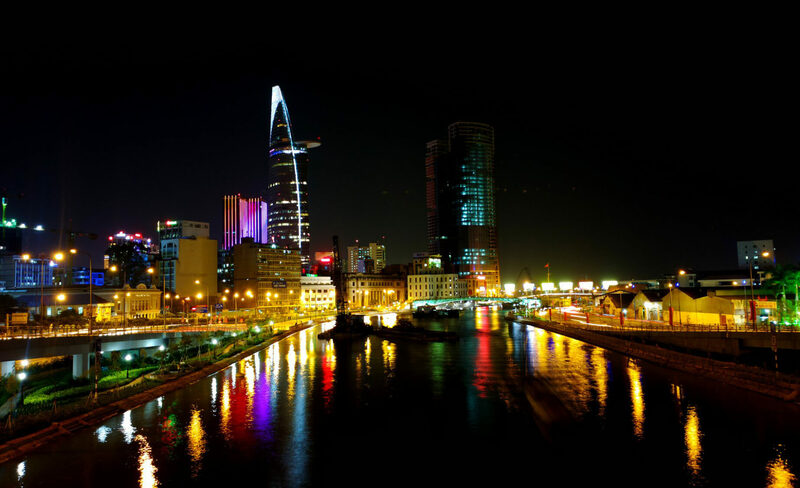 Ho Chi Minh City is served by Tan Son Nhat International Airport, located 7km northwest of central Ho Chi Minh City. 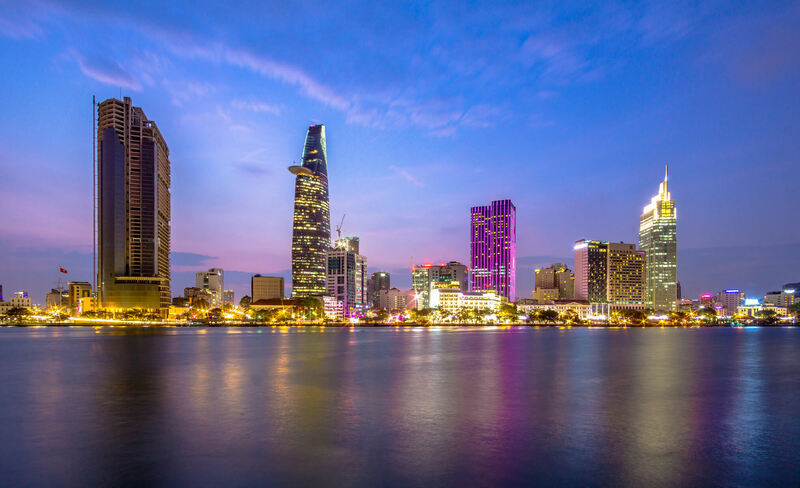 A number of airlines offer domestic routes from HCMC. Jetstar Pacific Airlines Flies to/from Hanoi, Haiphong, Vinh, Hue, Phu Quoc, Nha Trang, Buon Ma Thuot, Dong Hoi, Dalat and Danang. VietJet Air (www.vietjetair.com) Flies to/from Hanoi, Haiphong, Vinh, Dong Hoi, Hue, Danang, Quy Nhon, Nha Trang, Dalat, Buon Ma Thuot and Phu Quoc Island. Vietnam Air Service Company Flies to/from Ca Mau, Con Dao Islands and Rach Gia. 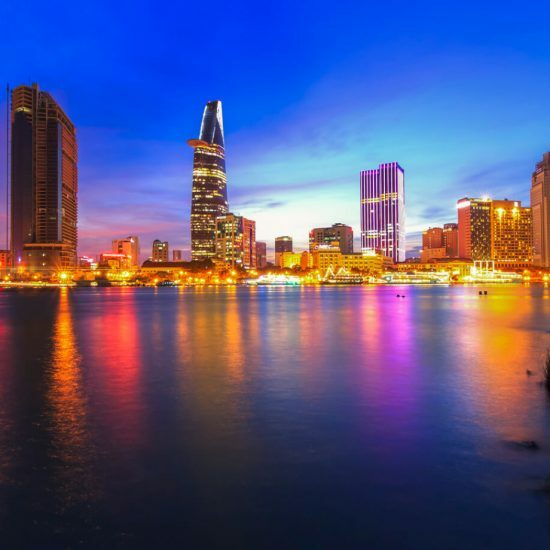 Vietnam Airlines Flies to/from Hanoi, Haiphong, Vinh, Dong Hoi, Hue, Danang, Quy Nhon, Nha Trang, Dalat, Buon Ma Thuot, Phu Quoc and Thuy Hoa. Most economical is the air-con bus (route 152; 6000d, plus a variable fee for luggage) to/from the international airport terminal. Buses leave approximately every 15 minutes and make regular stops along Ð De Tham (Pham Ngu Lao area) and at international hotels along Ð Dong Khoi, such as the Caravelle and the Majestic. Buses are labelled in English, but you might also look for the words ‘Xe Buyt San Bay’. This service only operates between 6am and 6pm. Route 109 (20,000d, 50 minutes, 5.30am to 1.30am, every 15 to 20 minutes) goes to the ‘backpacker district’ of Pham Ngu Lao via Ben Thanh Bus Station. Route 49 (40,000d, 40 minutes, 5.30am to 1.30am, every 15 to 30 minutes) also stops at the Pham Ngu Lao area, via Ben Thanh Market. Both are air-conditioned, modern, yellow buses that allow you to take luggage at no extra cost. Exit the international airport, cross to the centre platform and turn right to the marked stop with English-speaking staff selling tickets. 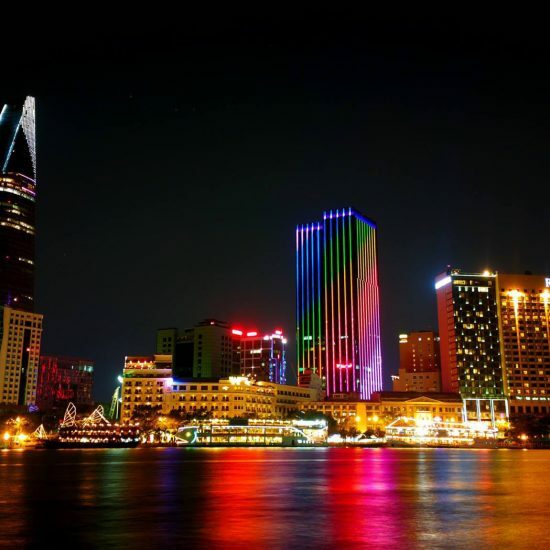 Choose metered Mai Linh or Vinasun taxis and especially avoid similar-sounding and coloured imitations; Mai Linh Taxi has a counter in arrivals. Sasco Taxi has the concession for the domestic terminal. From the arrivals taxi rank, a taxi should cost around 170,000d to Dong Khoi, plus a 15,000d vehicle access ticket to the airport. You can pay in US dollars if you want. Metered taxis will cost around 160,000d to District 1, so if you’re travelling light you can head upstairs to the arrivals area, or into the car park of the domestic terminal to try to catch a taxi. To get to the airport from town, ask your hotel to call a trustworthy taxi for you. Most hotels will pick you up at the airport for US$5 to US$20. Some cafes in the Pham Ngu Lao area offer runs to the airport, and some have sign-up sheets where you can book share-taxis for around US$5 per person. Consider a motorbike taxi only if you’re travelling light. Drivers can’t access the airport, so you will need to walk outside and negotiate: 90,000d to the city centre is the going rate. 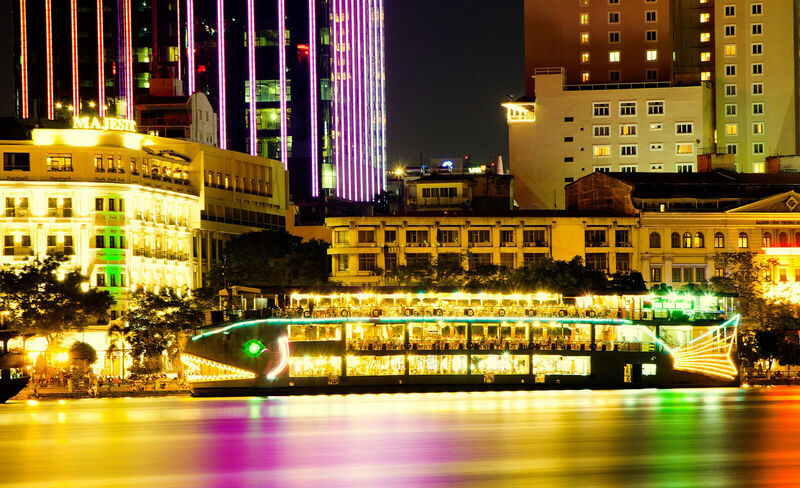 Greenlines is the most reliable of the two ferry services linking HCMC to Vung Tau. 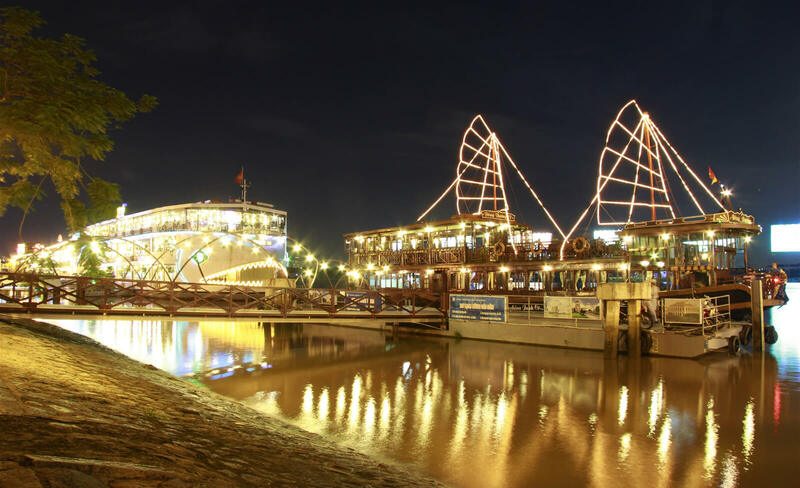 Booking ahead is recommended for Friday to Saturday sailings and the ticket kiosk and departure point is across the river in District 4 behind the Ho Chi Minh Museum. Journeys take around 90 minutes to two hours and can occasionally be delayed or cancelled due to weather and sea conditions. Advance bookings can be made online around a week to 10 days before departure dates. Departures are at 8am, 9.30am, 11.30am, 12.30pm and 2.30pm from Monday to Friday and 8am, 9.30am, 10.3am, 11.30am, 12.30pm. 2.30pm and 4pm on Saturdays and Sundays. Enquire at almost any hotel, tourist cafe or travel agency to arrange car hire. Just remember that this will include a driver as it’s illegal for foreigners to drive in Vietnam without a Vietnamese driving licence. The agencies in the Pham Ngu Lao area generally offer the lowest prices. Motorbikes are available in the Pham Ngu Lao area for around US$10 to US$15 per day, although this is one city where it definitely helps to have experience. Check the quality of the helmet provided. 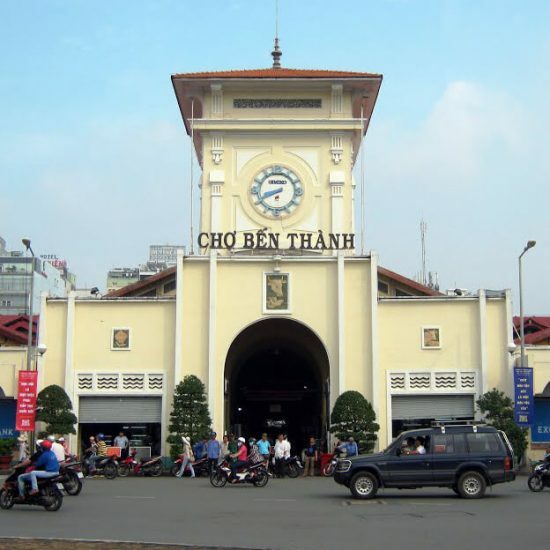 Trains from Saigon train station head north to various destinations: Danang (US$16 to US$23, 15½ to 20¾ hours, five daily); Hanoi (US$18 to US$40, 30 to 41 hours, four daily); Hue (US$15 to US$27, 18 to 24½ hours, five daily) and Nha Trang (US$7 to US$27, 6½ to nine hours, six daily). Purchase tickets from travel agents around town for a small booking fee, or directly at the train station. Booking online is also possible at www.dsvn.vn.